This bundle is to walk you through the beginning steps. Get your financial house in order. Start an emergency fund. Build a medical fund. Learn how to pay off debt. All of the calculation, worksheets, tracking sheets, and printables to help you succeed! This bundle combines the first four guides to the Money Bliss Steps to Financial Freedom. Designed to build a solid foundation for your financial future. 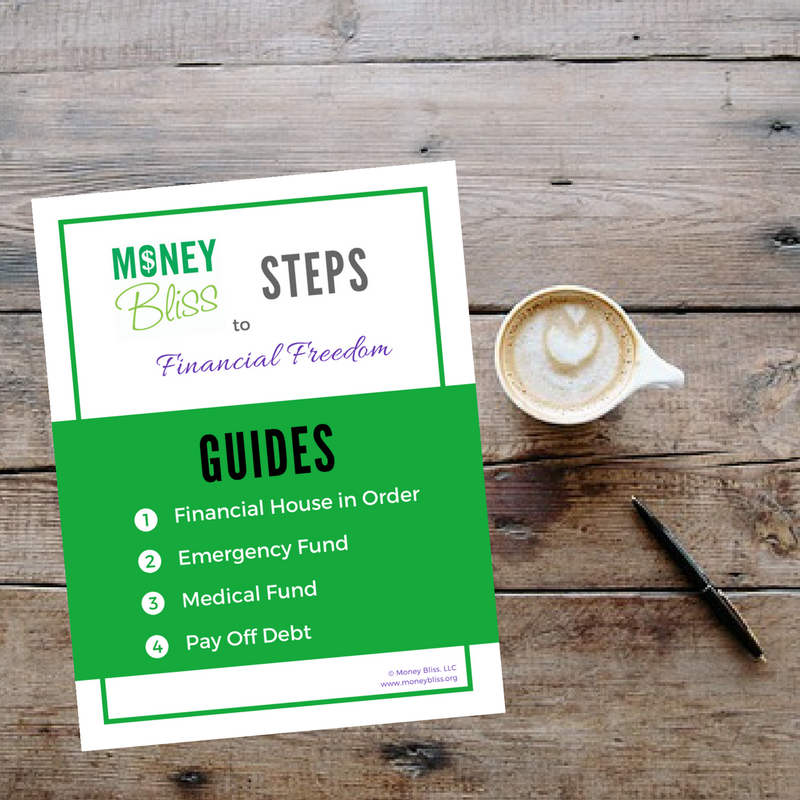 Everything you need to get your financial house in order to pay off debt. This bundle will help you focus on one step at a time, but understand the reasoning behind each step and the motivation needed to accomplish each step. This guide is developed to help you pay off debt. Period. Understand why debt will hold you back from financial freedom. Understand the difference between debt snowball and debt avalanche. Track your progress in paying off debt. Tips to help pay off debt faster. Personally, we used this same packet of information to pay off $53K in one year. 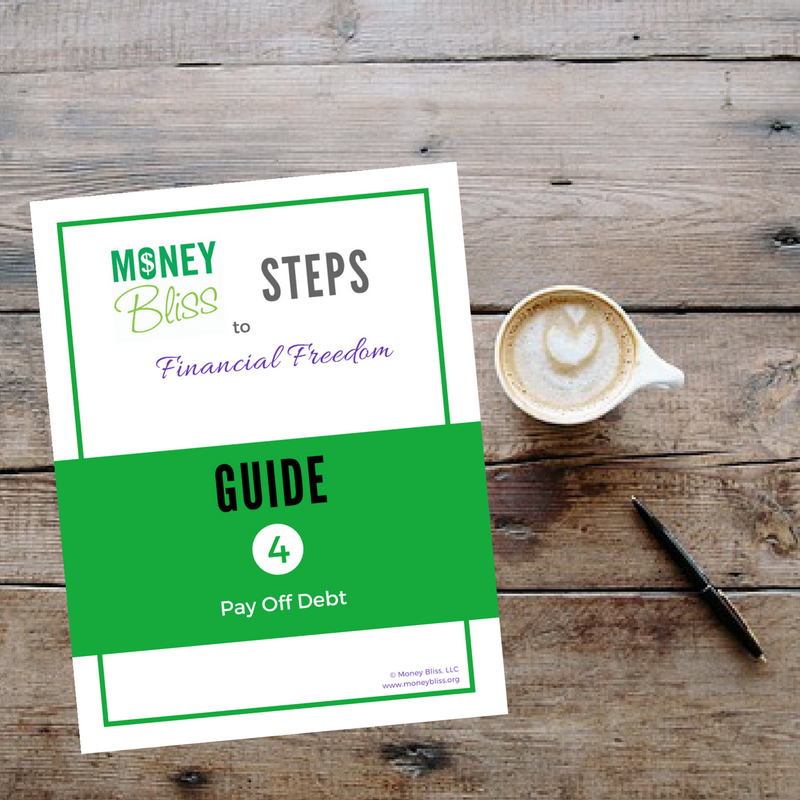 The fourth Money Bliss Step to Financial Freedom is paying off debt and not accumulating any more debt ever. In order to succeed financially, you must not be a slave to the lender. Anyone who is supercharged in wanting to change their money situation! Sooner rather than later! Gather your plan to begin the process of learning to become financially free. Get your financial house in order. Prepared for unexpected expenses. Save money. Get out of debt. At Money Bliss, we are here to help you succeed financially – not just sell a product. 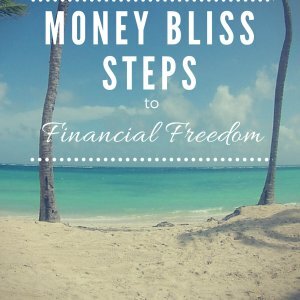 The Money Bliss Steps to Financial Freedom will transform your life. Enjoy a paradigm shift with your money today.